I don’t get flowers from Owen very often, which means that when I do they are all the more special. I came home from work this week to a beautiful arrangement in a beautiful crystal vase with a note that said “Just Because”! What a lucky girl I am. What a glorious weekend of weather – hot, blue skies and plenty of sunshine! 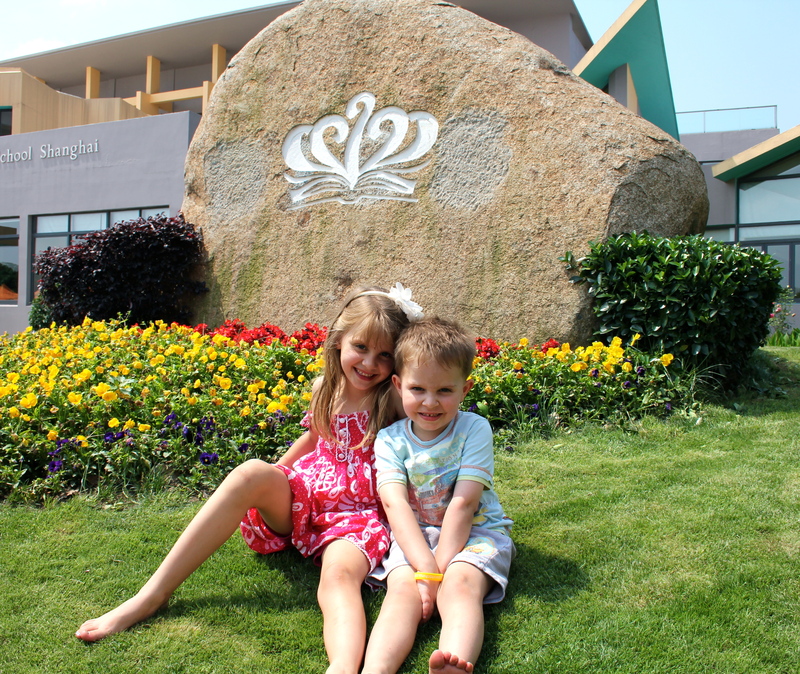 It was the annual fundraiser at BISS on Saturday – all proceeds benefit a local orphanage. It was very well set up with lots of activities for the kids to do, lots of stalls for the adults to buy things and entertainment from a local group and school kids all afternoon. I was on duty for 1 hour, manning the coconut shy. Meanwhile, Owen took Isabelle and Oliver to the obstacle course and all the places to win stamps to cash in for prizes! They had fun on a surf machine and the water slides – it was nice to cool down after being in the heat all day. It was an afternoon filled with fun and we came home with bags full of candy, toys and information on lots of local providers. We have bought a barbeque that will be delivered on Monday, and I have put an order in for a Norwegian raincoat (I am going to need that for the rainy season here!!) Tesco were promoting their “Finest” wine and we will be placing an order with them too! Judging by the number of people at the school, I think it will be a very healthy donation to the local orphanage. 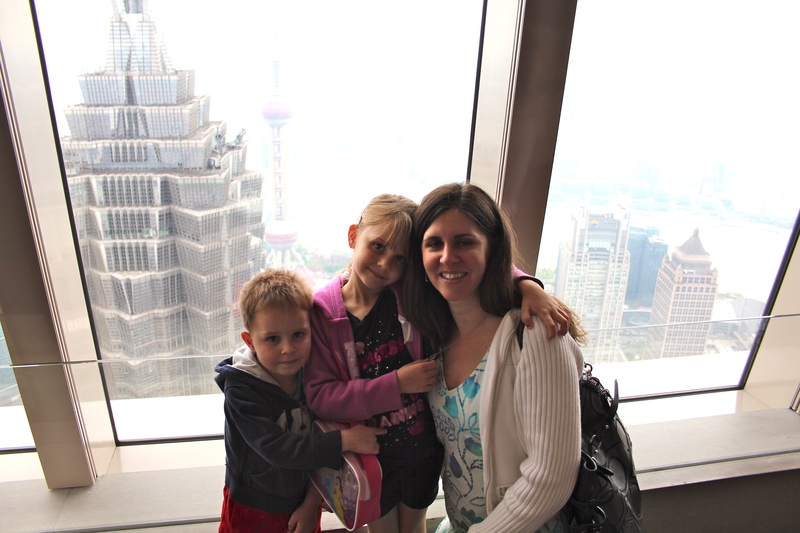 Today we went to the “Bottle Opener” building which is the tallest building in Shanghai, and has the Park Hyatt hotel on floors 79 to 93. 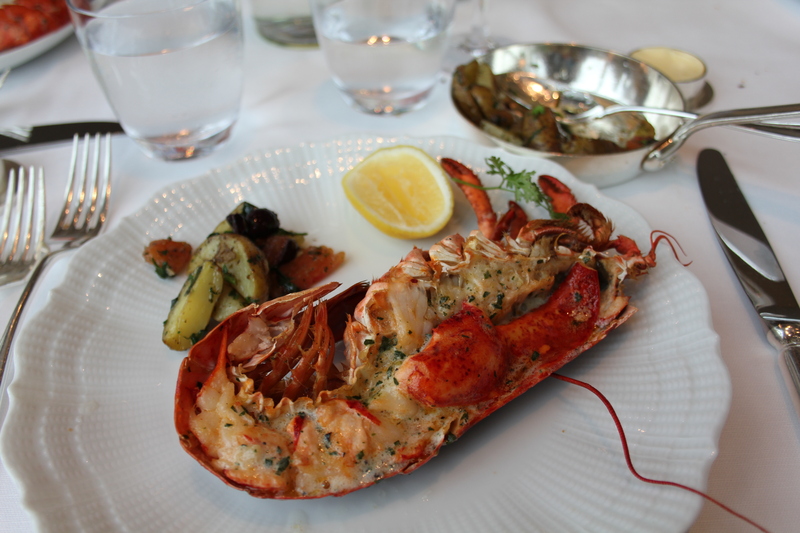 It was Lobster Brunch day for us on floor 91. 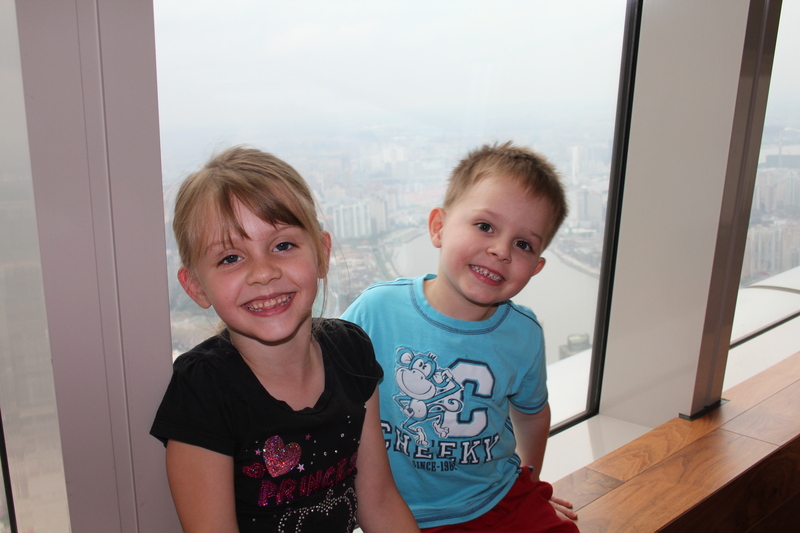 We had a table by the window and had a fabulous view across Shanghai and the Bund. 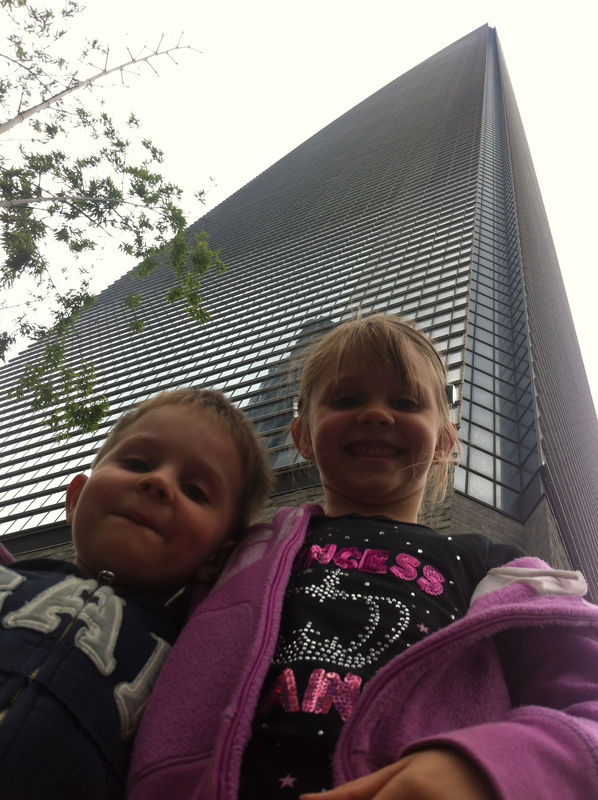 The elevator ride up did not take as long as I thought it would, but all of our ears “popped” on the way up! Our reservation was for noon and we did not leave until 2.30! It was quite the experience. Not only do you select items from the menu, but they also have a cold buffet set up with meats, salads and smoked salmon, and a dessert buffet. 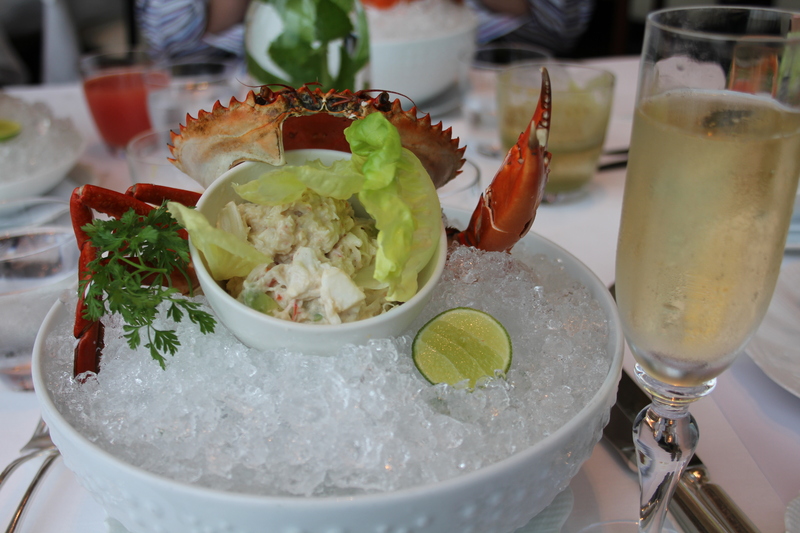 We all started with the dressed crab (special plates for the kids) – it was fabulous. 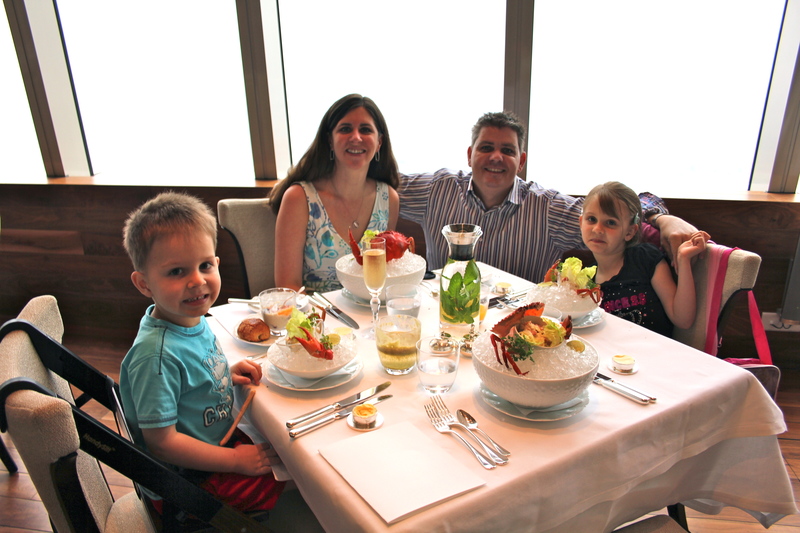 Then Isabelle, Oliver and I had the grilled lobster, while Owen had the Wok Fried Lobster – all delicious. We both had the poached egg, the kids moved onto the cold buffet at this point. Owen and the kids had lobster ravioli and I had lobster bisque. We were all feeling completely stuffed atthis point, but HAD to have dessert. All of us loaded our plates with selections from the dessert bar! 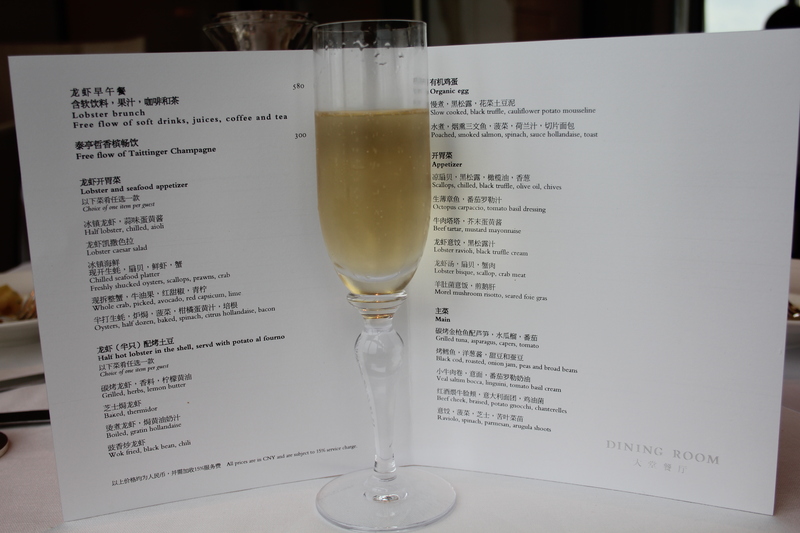 All of this, and free flowing Taittinger champagne! Poor Isabelle had no idea what all the buttons did and what to push to just flush! I did not experiment with any of the other buttons!!!!! 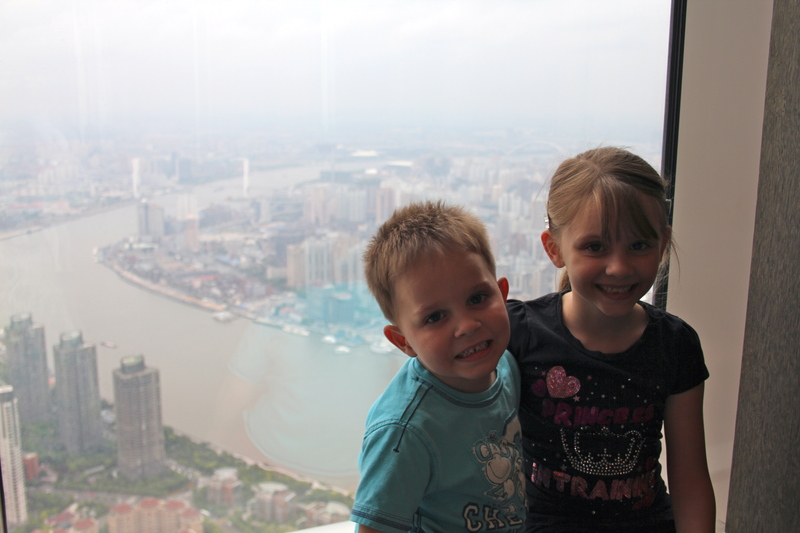 Great views from the restaurant – we all loved the telescopes up there too. This will not be the tallest building for much longer – Shanghai is now building a taller one. I don’t know why an International School with British heritage celebrates the American Mother’s Day, but it is a bonus for me this year as I have received twice as many cards and presents! British Mother’s Day is in March and American Mother’s Day is in May. 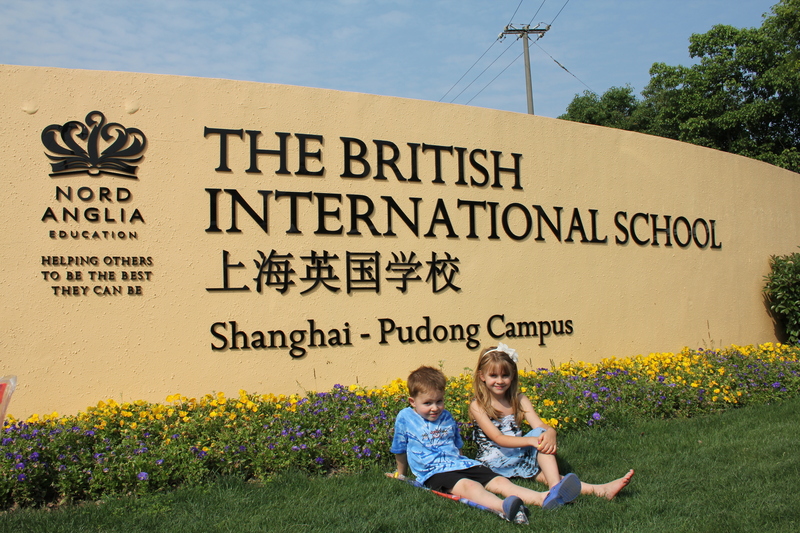 It has been a busy week at BISS (British International School, Shanghai)! 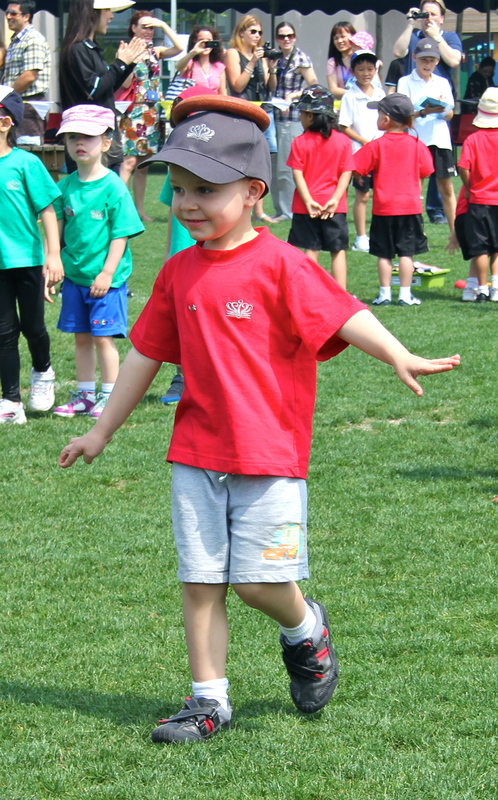 Wednesday May 16th was Sports Day for the Kindergarten and Infant classes. It was a beautiful sunny day. 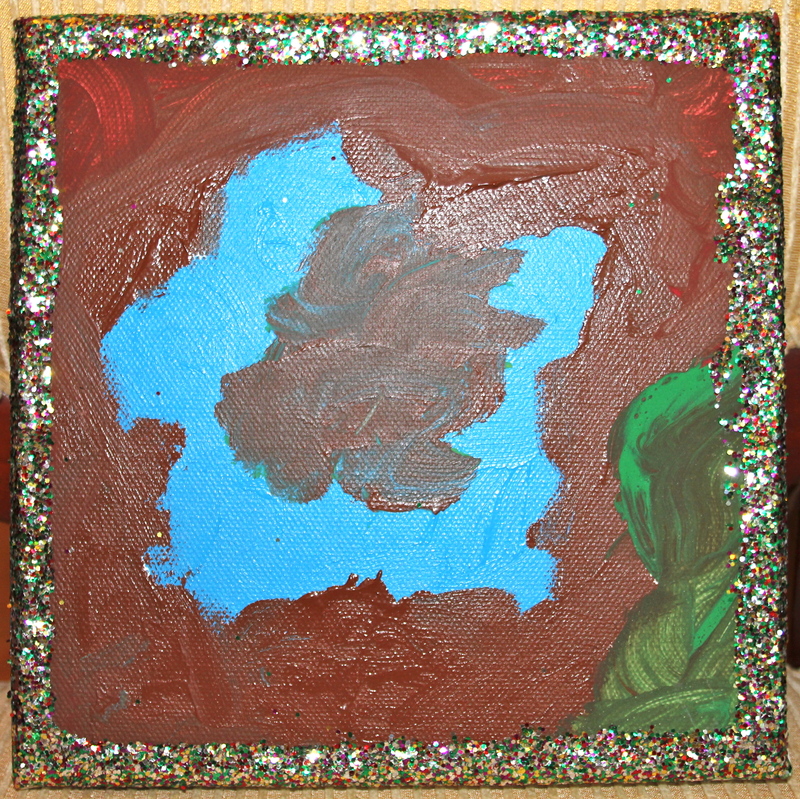 The school is organized into Houses: Dragon = Red, Monkeys = Green, Pandas = Blue and Tigers = Yellow. Isabelle and Oliver are both in Dragons. 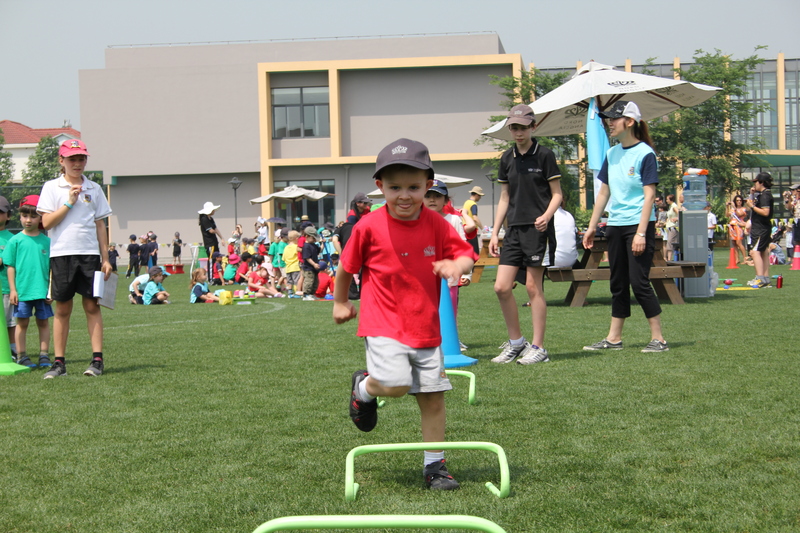 Not only do all the competitions (like Sports Day) earn you points for your house, but you can also earn points for effort in class, test results, and displaying attributes of the school values. The members of the winning house at the end of the year get a special prize. Dragons are leading the board at the moment! The set up was in the middle of the football field and fenced off – no parent interaction allowed!! 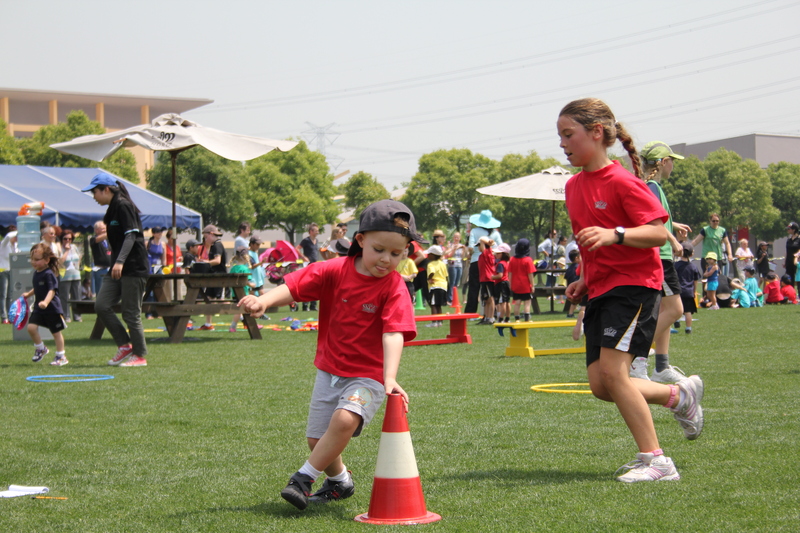 I especially liked that children from the older years were helping with each activity – they were great role models for the little ones and handled each group with expertise, encouragement and patience. 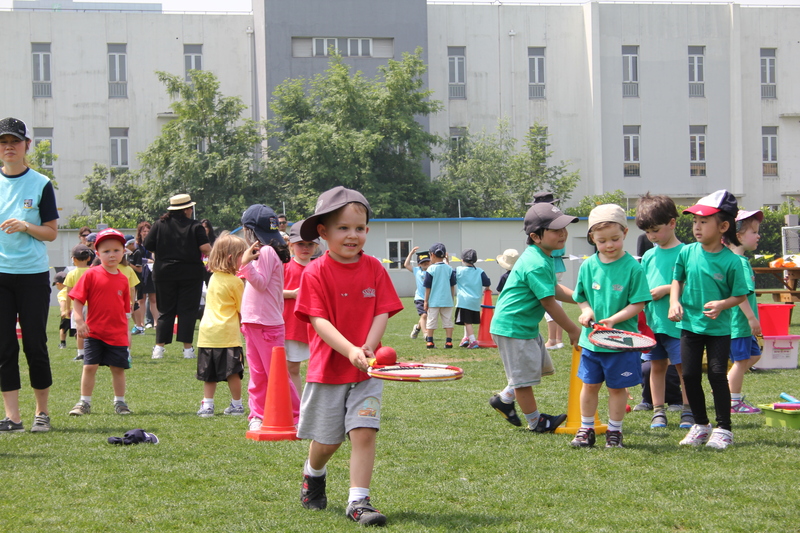 Parents walked around the outside as their children rotated around the activities – a perfect set up! Oliver started off with balancing a hoop on his head around a cone and back, moved on to a water challenge (scooping from one bucket then running to the end and filling with what is left!) This picture shows him navigating the hurdles. Each activity took about 2-3 minutes and we were outside for about an hour. Here you can see Oliver balancing a ball on the raquet between 2 cones. If you look closely, you can see that he actually has the ball wedged in the triangle at the base of the raquet!! His best activity was throwing beanbags into a hoop. The furthest hoop scored 2 points per bag and nearly all of his throws made it into that one!! The last picture shows him finishing the activity round: running across a beam, pulling the big hoop over his body and then running around the cone. I love this action shot – tongue hanging out (a common theme from Oliver when he is concentrating!) and his cap on sideways. He never seems to want to wear his cap correctly, it is always sideways or backwards. He did so well at all the events and managed to score some good points for Dragon. In fact, Dragon House won the day! A quick cuddle with him after the event and then he was whisked away for an ice-lolly reward. Marks and Spencer, the most British of shops, have a 4 storey, glass fronted store on one of Shanghai’s most prominent roads. Nanjing Road is the Shanghai equivalent to London’s Oxford Street or New York’s 5th Avenue. 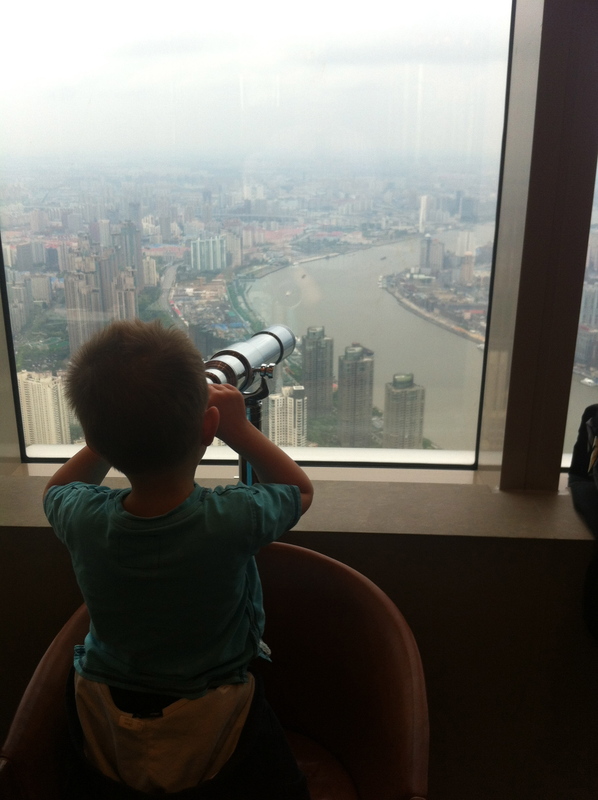 In fact, my office is on the 31st floor of a building at one end of Nanjing Road with a spectacular view across the city. Today, I took a walk down Nanjing Road to find Marks and Spencers as Owen had said it is the only place he could find squash. My experience of M&S in Oxford Street is that it is usually full of Chinese people buying huge quantities of clothes. Well, M&S on Nanjing Road was mostly full of westerners! Unlike Tesco, who have adapted their stores, contents and stock to the local market, M&S have replicated any store from the UK. While it was comforting for me to walk into a shop and immediately feel at home, I am quite positive that this will not be a good business model in China. They have the Per Una, Autograph, Limited and Indigo fashion lines and the layout was exactly the same as any UK shop. On the plus side, I bought orange squash, lemon and lime squash and blackcurrent squash. On the down side, I bought 6 bottles in total and paid 210 RMB (approx £20/$30)! If you ever wanted to know how Tesco translates into Chinese, now you know!It is a very different experience from the UK.